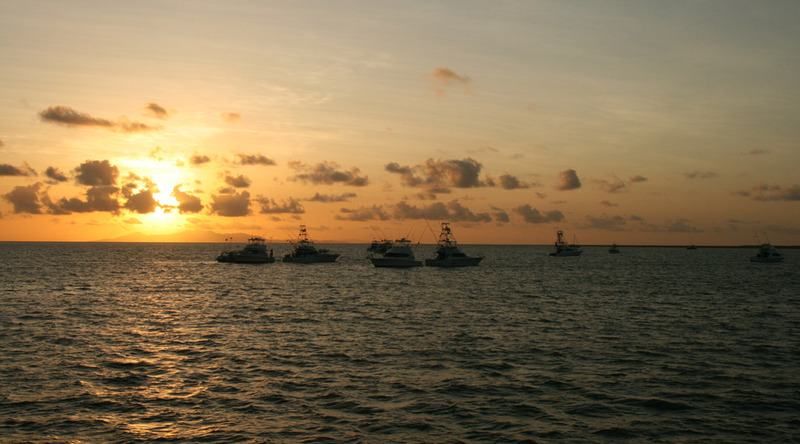 Townville Game Fishing Club members spent their early years fishing amongst the many reefs off Townsville and it wasn't until the 1980's that the Cape Bowling Green grounds were discovered. 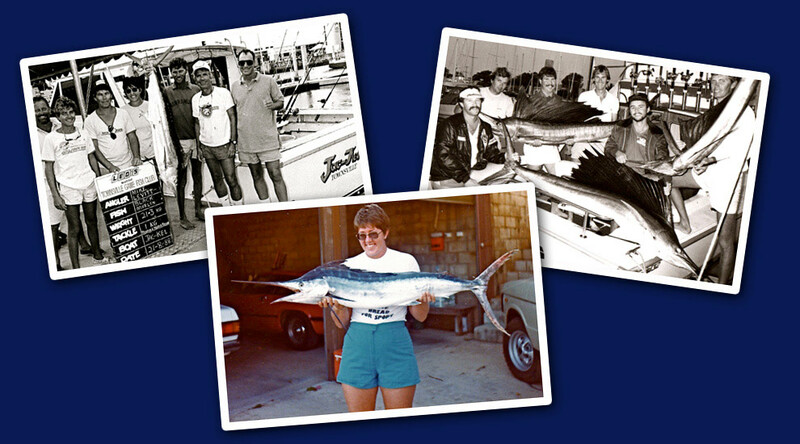 World-renowned light tackle anglers such as Mike Levitt travelled here in search of records but many of the local anglers made it into the record books as well - including my mother Anne Dalling, who was the first woman in the world to land a black marlin on 1kg (photo). 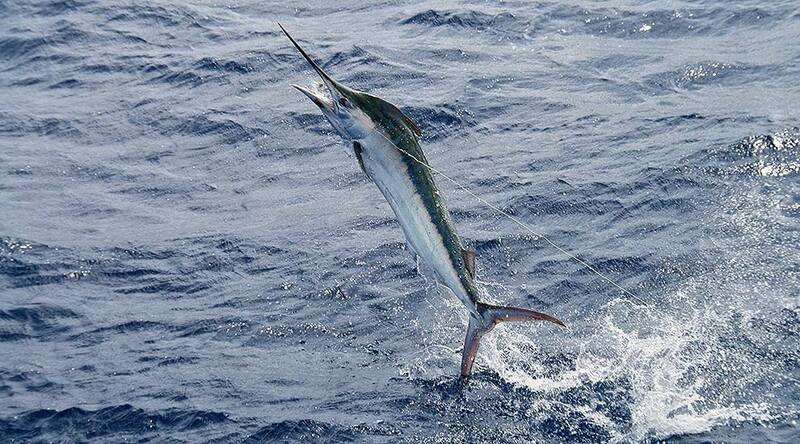 Scaling the tackle down to 6-10kg outfits (12-20lb), they are great fun for all ages. 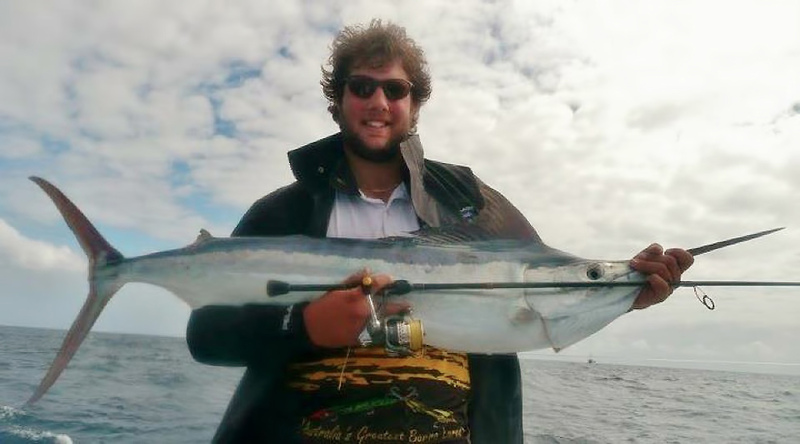 Plenty of local youngsters getting in on the action this year including some Townsville teenagers who caught 5 in one day including two on 2kg (4lb) tackle (photo: Luke Katsaros). 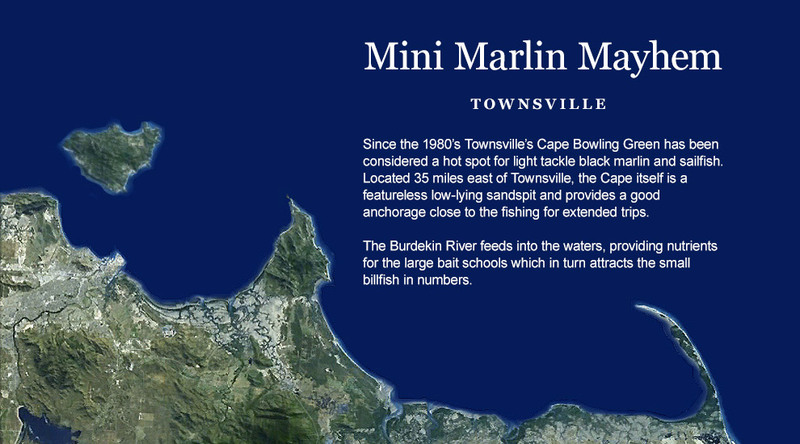 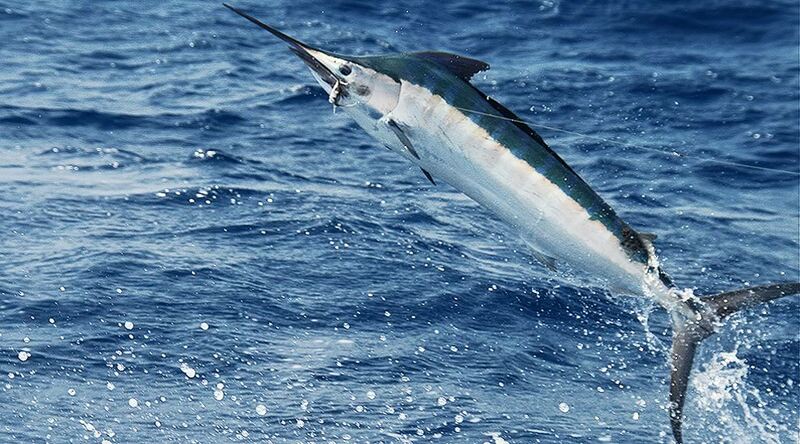 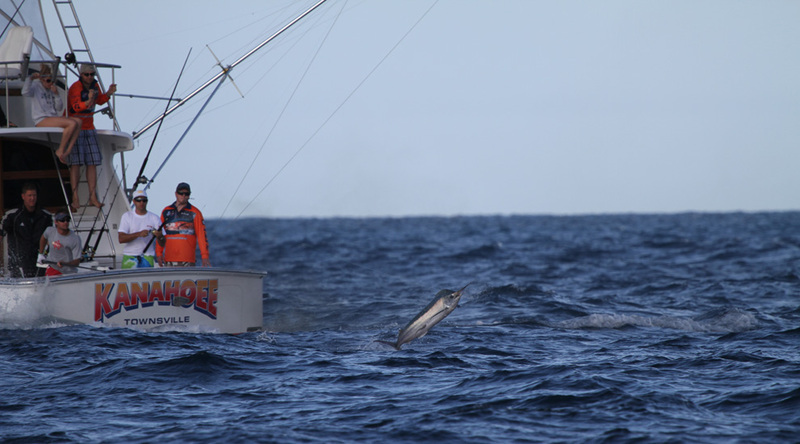 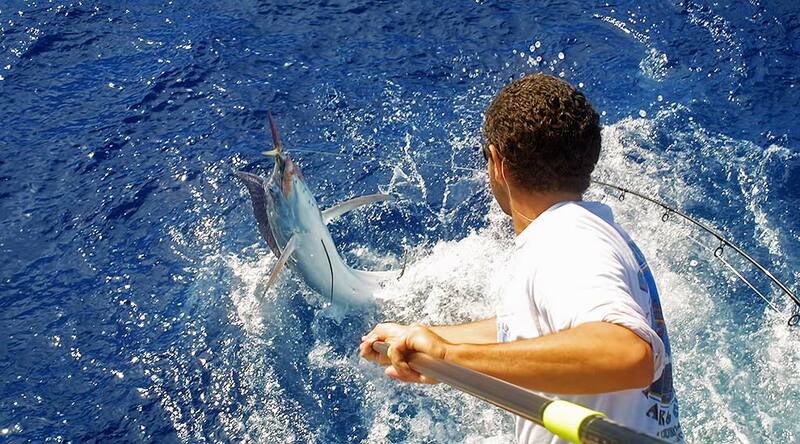 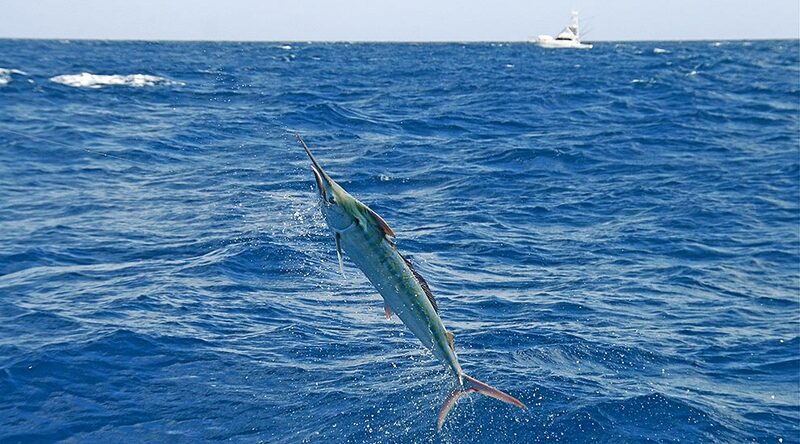 "Mini Marlin Mayhem" at "Townsville's Cape Bowling Green"